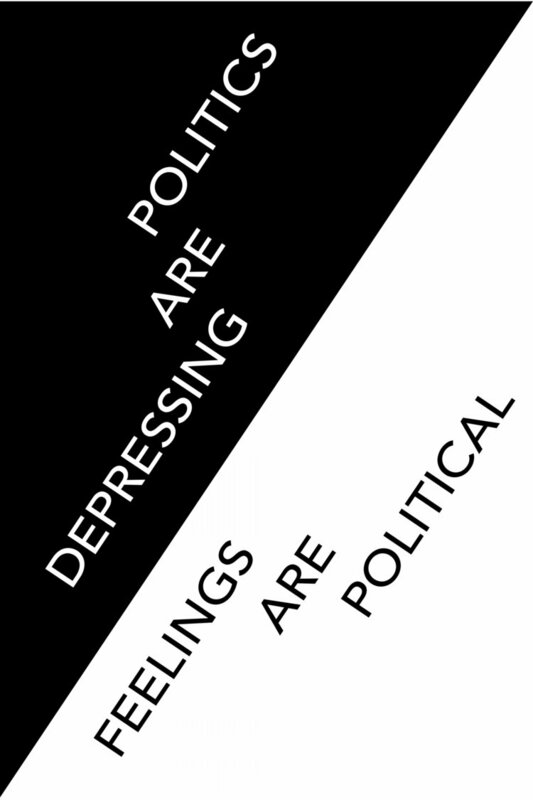 Personal/Political Feel Tank* explores how our emotions and everyday lives contain political power. People are invited to join in this important experiential research through group discussions, one-on-one conversations, and a selection of re-staged projects organized by Ariana Jacob. Together we will consider how our difficult feelings, though they often isolate and immobilize us, might also illuminate ways we can respond to this political moment. * Personal/Political Feel Tank was inspired by Feel Tank Chicago, a collective of artists, activists and academics who, in their own words “took the emotional temperature of the body politic” through a range of activities including reading and discussion groups, exhibitions and a parade for the politically depressed.